UPDATE: A helium leak nixed plans for today’s launch. It has tentatively been rescheduled for 12:25PM PT/3:25 PM ET on Friday, April 18. 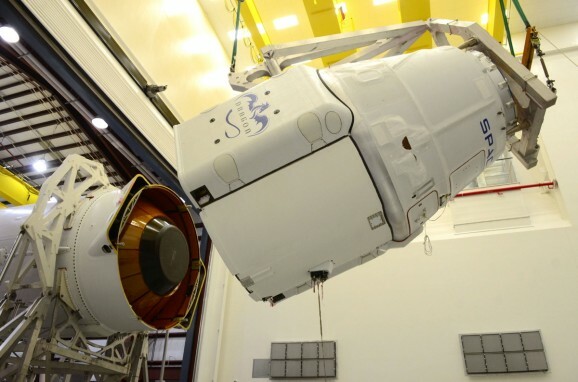 This afternoon, SpaceX plans to launch an unmanned Dragon capsule on a cargo run to the ISS. The launch is scheduled for 4:58 pm, and you can watch live here. This isn’t the first time SpaceX has made a cargo run for the ISS, and it certainly won’t be the last—the company has a 12-mission contract. It does make me wonder, though, what exactly the payload is. Sure, there are supplies the astronauts on the ISS need, but surely not 5,000 pounds worth. What else is riding in the Dragon? 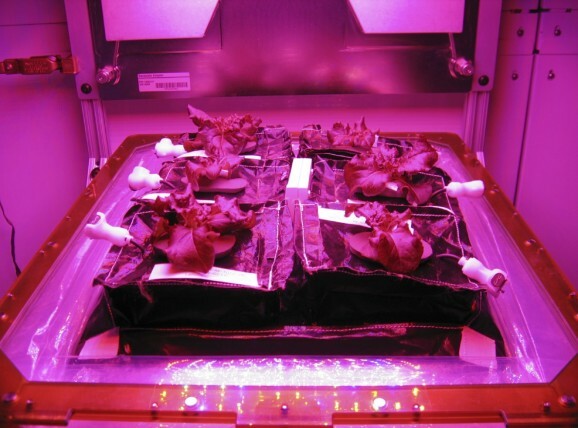 Aboard the capsule is a mini space farm that will, if successful, allow astronauts to start growing their own veggies in space. The taste and quality of space food has certainly improved over time, but fresh vegetables would I’m sure be a welcome addition. On the less tasty side of things, there are also a bunch of microbes riding in the Dragon, too. And not just any microbes, but ones gathered from historical places, such as the Smithsonian’s Space Museum. What makes this even more interesting is who collected the swabs. You’ll never guess. It was a bunch of NFL and NBA cheerleaders who comprise an organization called Science Cheerleader, a group of science geeks with pompoms. The microbes will be monitored to compare their growth rates on Earth and in space. 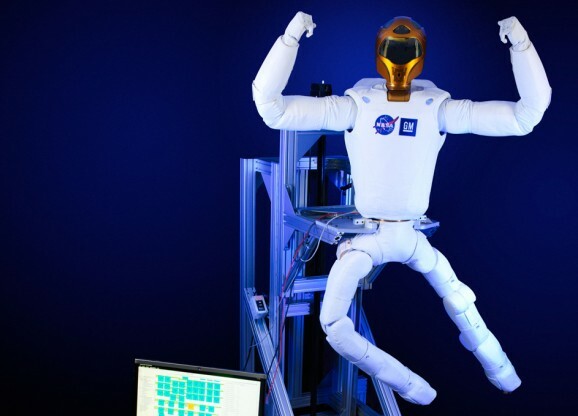 NASA’s Robonaut 2 has also received some snazzy new legs. The upgrade allows the robot to work both inside and outside the station once it gets some additional upgrades to its torso. Each appendage has seven joints, creating a nine-foot wingspan. It doesn’t have feet, though it does have something like an R2-D2-type effectors that allow the robot’s legs to connect with sockets and grasp handrails. The ISS will also be getting a laser. The device can’t blow up any Death Stars, but figures into a communications experiment. It’s called the Optical Payload for Lasercomm Science (OPALS), and it sends the data gathered by equipment at the station back to Earth via laser beam, increasing transmission speeds from 200-400 kilobits to 50 megabits per second. The launch was nearly delayed when, on Friday, the ISS backup computer malfunctioned. Luckily, it’s not the station’s primary computer, and officials have determined that it won’t compromise the successful docking, even though it affects the station’s robotics systems. It will, however, force the astronauts to perform an unplanned spacewalk to fix it. It’d be cooler if cheerleaders and robots could lend a hand, but one step at a time, right?